Included in our monitoring is the Beach Water Testing Program. Established in 2003, this program is vital to the protection of the island’s beaches with the purpose to assess bacterial presence and concentrations. Beaches are subject to considerable human use including boating, swimming, fishing, and shellfishing. Our program monitors the water quality to protect the public and surrounding environment. 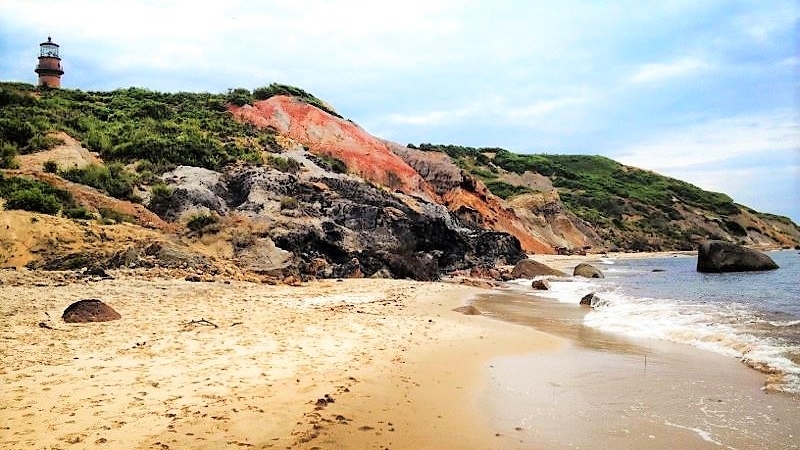 The Wampanoag Environmental Laboratory is contracted by the Massachusetts Department of Public Health to analyze and report on all bathing beaches samples for the island of Martha’s Vineyard since the inception of the state’s beach testing program. Our laboratory receives beach samples weekly throughout the summer season from over 40 public bathing beaches on the island. We analyze over 400 beach samples every season to ensure that the quality of water at island beaches meets state health standards for public use. Sampling and analysis is consistent with Department of Public Health regulations and complies with Massachusetts sanitary codes for bathing beaches 105 CMR 445.000 . It is the responsibility of each municipality to conduct sampling in accordance with the required protocol and to preserve each sample until it is turned over to the laboratory. Beach samples are analyzed for Enterococci bacteria; a genus of bacteria commonly associated with human and animal waste. Each sample takes 24 hours to determine if bacteria is present and to quantify it. Criteria from the MDPH has been developed to protect the public from possible swimming-related illness by way of a single sample standard; used to protect swimmers from a brief exposure to high levels of bacteria (acute exposure) and the geometric mean; used as an indicator of the water quality over an extended period of time (chronic exposure). Criteria also exists for samples collected from both marine and freshwater beaches in Massachusetts. For marine waters, the amount of Enterococci cannot exceed 104 colonies per 100 ml and its geometric mean of the five most recent Enterococci levels cannot exceed 35 colonies per 100 ml. For freshwater, the amount of Enterococci cannot exceed 61 colonies per 100 ml and its geometric mean of the five most recent Enterococci levels cannot exceed 33 colonies per 100 ml. All bathing water quality is provided to the Board of Health of the town in which the beach resides as soon as the results are available. In the event that the bathing water quality exceeds any of the state’s health criteria, the lab notifies the town’s Board of Health and a re-test sample may be taken. Should the re-test sample also test above allowable limits, the board of health must post signage declaring that the beach is closed to swimming. When the next following sample from that beach tests within acceptable health criteria, the beach may be reopened to swimming. For more information on beach water quality in Massachusetts, please use the links provided below. Beach Water Quality Locator: Find the current water quality status for all Massachusetts saltwater beaches monitored under the MDPH beaches program. Search all present and past analysis data.